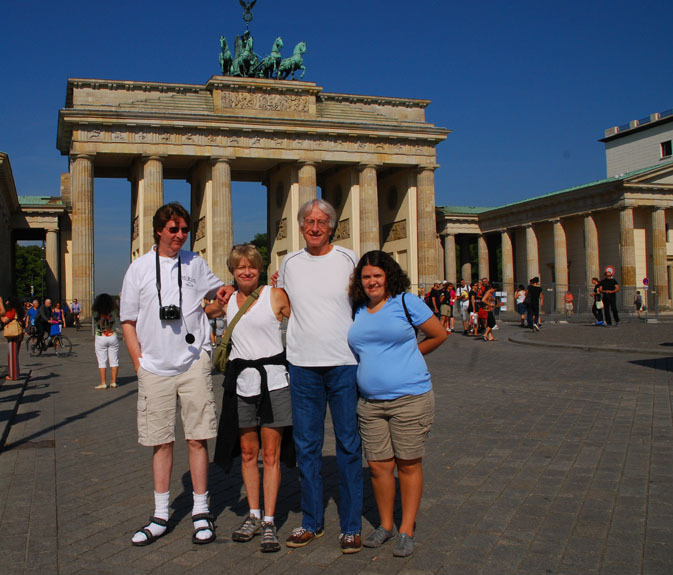 Visit the amazing capital city of Berlin on a European Focus Private Tour. Germany marks 25 years since the fall of the Berlin Wall today, November 9. I remember that night well. I was watching a movie in my apartment in ‪‎Darmstadt‬, Germany and my upstairs neighbors called down to me, ‘James, come up here, you won’t believe what’s on MTV!’ I ran upstairs thinking that perhaps it was a story about the Beatles getting back together. But no, it was Germany getting back together, covered live on MTV Europe. There I sat with an English woman and her Northern Irish boyfriend, watching in amazement as people clambered up onto the wall, singing, dancing, drinking, kissing, crying. Then the hammers came out and people started tearing down the wall which had divided their city and their country since 1961. I had been in the country only four months at that point and so had not made it to the divided Berlin, although colleagues had told me about what a weird experience it was. Now I would not have my chance, but that was OK. I was watching history unfold on live TV and all around in my city, car horns were blaring. Posted in Germany Tours and tagged 25, anniversary, berlin, brandenburg, custom, gate, private, tour, wall, years. ← When is the best time to visit…?